Home » Christianity , Jesus » Jesus, What is your quest? Jesus, What is your quest? What is your name? Jesus Christ, my son. What is your quest? To be your god, Lord and Savior. 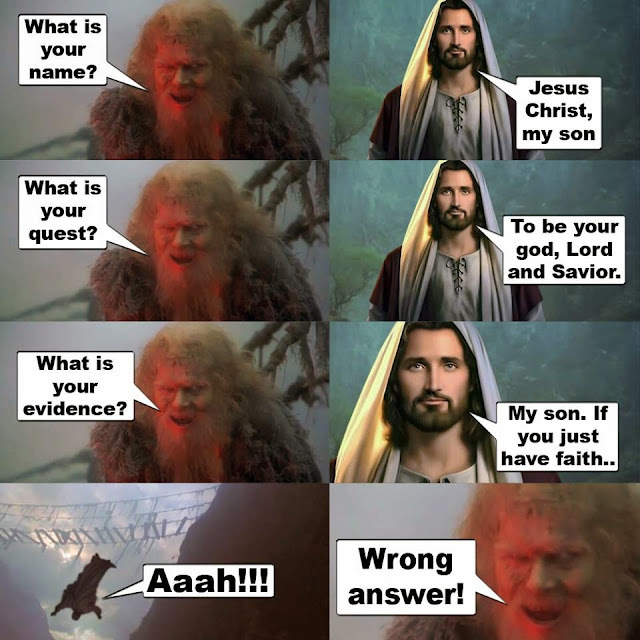 What is your evidence? My son. If you just have faith... Aaah!!!! Wrong answer!